AEM's immersive Tech Experience spanned 75,000 sq. ft. exploring three areas critical to the construction industries' future: technology-focused worksites of the future, workforce development to fill future jobs and infrastructure development innovations and trends. The Association of Equipment Manufacturers (AEM) continues to earn best in class recognition for its innovative new Tech Experience at CONEXPO-CON/AGG 2017. The latest honor is the Experience Design and Technology Awards' top prize for Best Outdoor Event in 2017. The Experience Design & Technology Awards, from Event Marketer, is the world's only marketing awards program recognizing the best-designed live experiences and most powerful “wired” engagements delivered by brands and partners worldwide. “We are extremely gratified by these honors, and kudos to all on our team and our partners who came together to present cutting-edge ideas, information and technologies to attendees at the 2017 show,” said Sara Truesdale Mooney, AEM's vice president strategy and business development and 2017 show director. 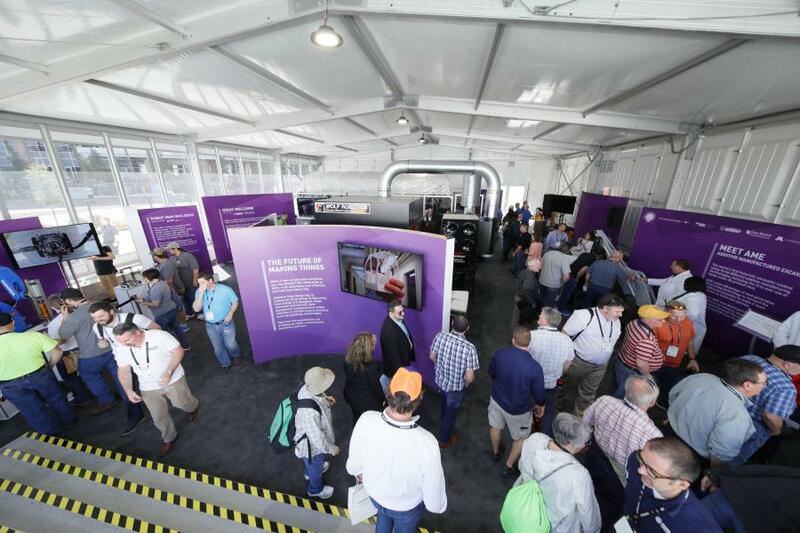 The Tech Experience returns to the next CONEXPO-CON/AGG, in 2020, dedicated to creating an engaging experience for attendees that educates and inspires by bringing to life the technologies and solutions shaping “what's next” in construction. AEM has also received “innovation” awards for its Tech Experience from the American Society of Association Executives (ASAE) and Biz Bash.